Enjoy our Fun, Friendly Atmosphere! 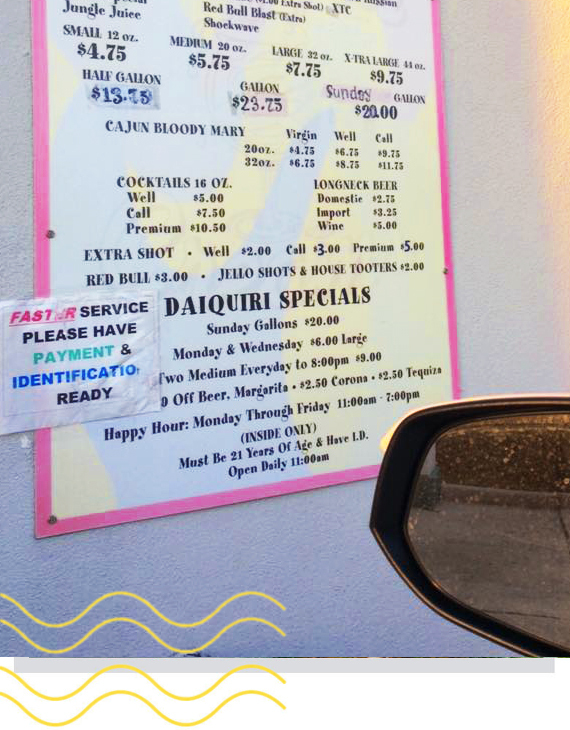 For 25 years, Daiquiris and Creams has been New Orleans' best Daiquiri shop, offering drive-through and walk-in daiquiris in Metairie, Mandeville, Covington, and Slidell. Our quality sets apart from the competition. We use only real, fresh fruit and fine top-shelf liquors to make the creamiest and best-tasting daiquiris all over South Louisiana. 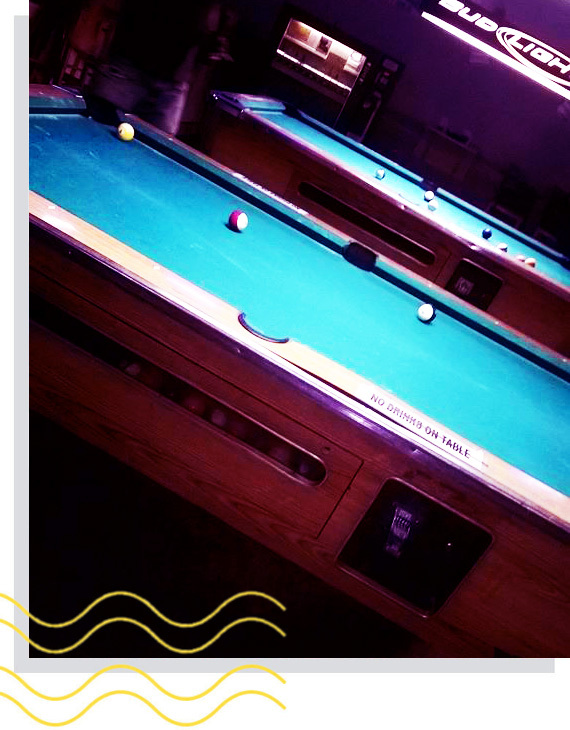 We have professional quality pool tables and electronic dart boards and video poker. Test your skills in our pool tournaments and dart leagues. On game nights watch your favorite team (as long at they happen to be the Saints or Hornets) on our multiple large high-definition televisions at all our locations. In a rush? All of our locations have our convenient drive thru to pick up our delicious drinks. This includes gallons for home parties! 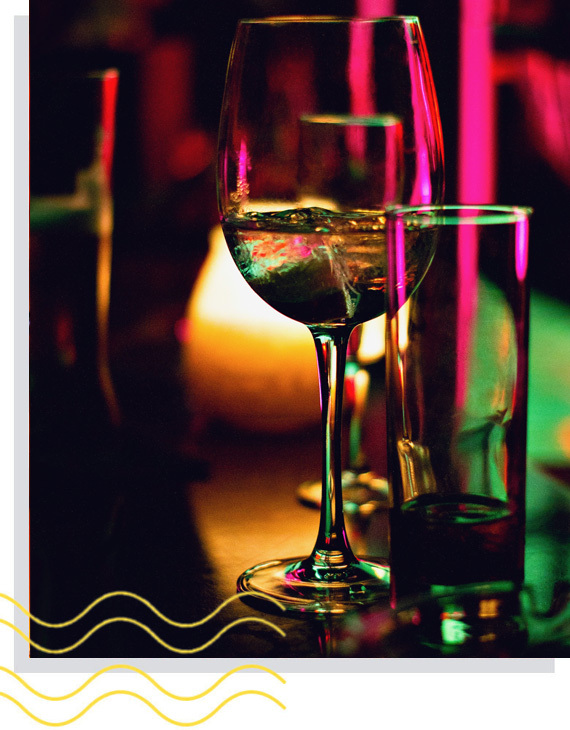 Celebrate your event in style and comfort with Daiquiris and Creams private parties. Contact our management for more information and to book your event now. Daiquiris and Creams was founded in 1983. Our daiquiris are hand made with our original own recipes. We offer over 60 flavors that are made with the best tasting fresh ingredients and blends of quality liquor for the best creamiest daiquiris, which sets them apart from the rest. When you taste the difference, no others will do. We also offer all the popular beers, liquors, and mixed drinks. With four locations in Jefferson and St. Tammany Parish of Louisiana. Whether you are alone or meeting friends, everyone enjoys hanging out where there are large TVs, pool tables, dart games, video poker, and great music. Everyone has fun with our warm, friendly atmosphere. All of our locations have our convenient drive thru to pick up drinks and gallons for home parties. Come in and taste the difference! Home of our famous White Russian.